It is now that time of the semester when things get hectic! This time is filled with even more studying, exams, and sometimes those big projects. As your workload gets busier this time of year, large projects can appear especially daunting. 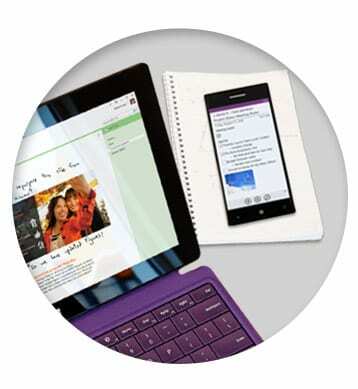 Stay organized and collaborate with teammates using OneNote in Office 365 on all your devices. 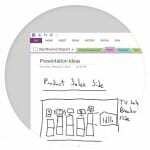 Your notes are saved automatically as you make them—just like a paper notebook. They go with you everywhere too and, unlike paper notebooks, you don’t have to worry about losing them. Use your finger, stylus, or mouse on any Touch-capable device—and automatically convert your handwriting to text. Don’t miss important information when you video- and audio- record your notes during important meetings. 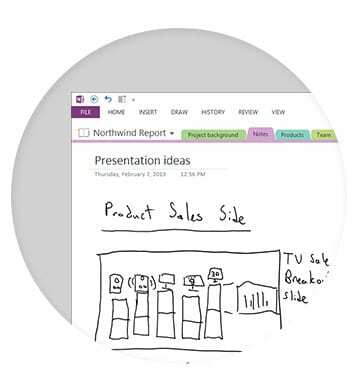 Share your OneNote notebooks with others, so that everyone can edit and share notes in the same place. Your notes are synced to OneDrive for Business, giving everyone access to them from wherever they are. For more information on Office 365 at SMU, please visit our webpage http://www.smu.edu/BusinessFinance/OIT/Services/o365.